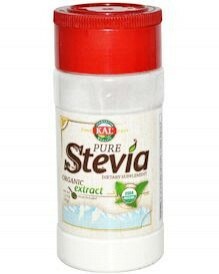 KAL Pure Stevia Organic Extract Powder (1.3 oz) 1.3 oz. KAL Pure Stevia Organic Extract has no fillers or chemical sweeteners that spike blood sugar This is a sweetener for any no- or low-sugar diet plan. 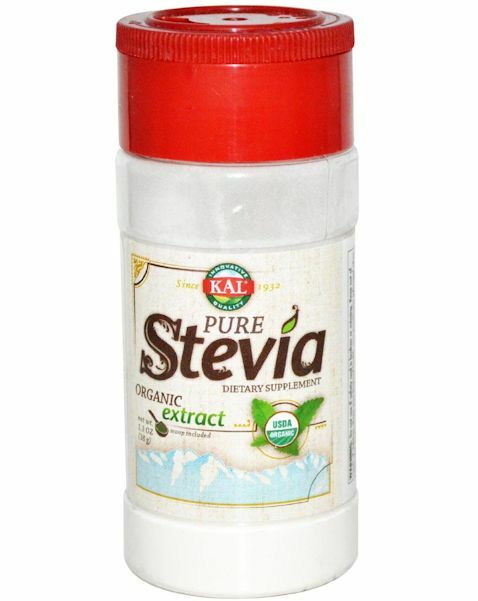 Please do not confuse this with the non-organic KAL Stevia Powder, which has maltodextrin. The stevia plant originally came from the rain forests of Brazil and Paraguay. It is now grown in those areas, as well as in Japan, Korea, Thailand, and China. It is most widely used as a non-sugar sweetener in food and drink, particularly because it does not appear to have any calories or affect on blood sugar like most natural sweeteners (like sugar or honey). Use only as directed. Take 1 serving with your favorite meal or beverage.